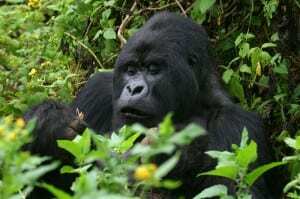 West and Central Africa offer a range of jungle safaris where you can hope to have close up experiences with primates. Jungle safaris offer the optimal safari experience for those who enjoy getting up close and personal with nature – experiencing wildlife first-hand, and getting in touch with some little known jungle survival tips. There’s always something of interest lurking on the other side of tall grass or hanging in the branches above. All of these things are characteristic of jungles. But what exactly is a jungle? Nearly everyone has an idea about how they’d define the biome, and most of them probably do have some correct information. The best way to think of a jungle would be a forested area, dense in underbrush that has yet to be cleared away or cultivated. They are areas completely unhampered by humans, and thus provide one of the most exhilarating accounts of animals in their natural habitat. They are very similar to rainforests, but are “drier” than their relative and don’t have as much skyscraping vegetation. The majority of Africa’s jungles are focused in the middle of the continent, between the Saharan and Kalahari deserts. Much of the jungle wildlife is dependent on the nourishment from water sources. Companies that service those areas for safaris may request that you receive a number of immunizations beforehand. If you have a primary care physician, give them a visit and let them know you’ll be traveling. Blood borne illnesses are extremely common from wasps, spiders, and other insects that tread silently throughout the jungle; there may also be infections tourists are more susceptible to than the natives. Seek professional medical advice and take proper precautions before your safari. Just as you’d imagine, jungle safaris take you into the heart of some of Africa’s most exotic locales. These areas are quite diverse – more so than many people believe is an accurate representation. Probably the most alluring aspect of jungle safaris is the presence of our primate relatives. Monkeys, gorillas, and chimpanzees can all be seen in jungle environments in Uganda, Tanzania and Rwanda. Parc National Des Volcans, Rwanda is a dense, wet jungle on the upper reaches of towering volcanos. Made famous by Dianne Fossey and her lifetime’s work on the resident gorilla familes. Nyungwe National Park, Rwanda. Dense, mountainous virgin forests with waterfalls, chimpanzees and a host of smaller monkeys. There’s also a snazzy new jungle canopy walkway which gives a whole new take on the jungle safari. Murchison Falls National Park, Uganda has the Murchison Falls and Nile river running through thick forest and savanna with wildlife viewing not limited to the big five. A classic jungle safari whether you’re in a jeep or trekking. Bwindi Impenatrable Forest National Park, Uganda. Steep mountain rain forest with wide altitude span offering the ultimate jungle safari with the chance of coming face to face with a gorilla. Kibale Forest National Park in Uganda is made up of lush tropical rain forest in an area of outstanding natural beauty, and habituated chimpanzee families to enliven your jungle safari trek. A jungle environment tends to bring out even more bugs and flying insects than other types of safari, so be sure to have enough insect repellent. If you’re planning to do any walking in the jungle, long sleeves and trousers are recommended to avoid scratches from plant life. Don’t travel alone in the jungle – always travel in groups and hire a guide. Avoid using a flash on your camera if taking photos as it can ward off the wildlife.